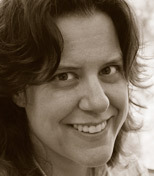 Kirsten Jones is the current webmaster for The Perl Foundation, and works at Applied Minds creating prototype web applications for the creative geniuses therein. She has a recently-resurrected blog at www.perlgoddess.com and can be reached at synedra@gmail.com. She was found in a basket at OSCON and brought back to a cave to be raised by a band of brilliant savages. Under the watchful eye of truculent developers and BOFHs she sharpened her saw by moving data from here ... heh ... to here. She now strides the world as an international expert in getting stuff done. In this webcast led by Kirsten Jones, you'll learn what you need to know to design, plan and execute a successful, engaging API and how to avoid common pitfalls.